Hi! I wanted to do a mini recap of what's been going on lately. I feel like I've been MIA with blogging for a while and to be honest, it's felt really good! Sometimes those breaks are just needed. Guys! I had the best time with my siblings and nephews. We talked, we laughed, we cooked together, we watched the World Cup, and of course we played with the nephews for countless hours. I love seeing those two little boys enjoy life. They both are just so fun. After saying bye to my siblings and nephews I went to Colorado Springs to vacation with Dave's family. We hiked, went white water rafting, toured the Olympic Training Center, hiked Pike's Peak (my legs hurt, really really hurt) and spent some fun time together. The World Cup is on! I'm rooting for Brasil and happy they have been doing well so far! If they are out I'll root for the US next but come on, America has their sports mixup by calling football soccer. Seriously! I also found my Brasil jewelry just in time! While in Washington and Colorado I did a devotional on fear. It was short but really good. If you have fears/anxiety I highly recommend this devotional. It gave a lot of verses which me and some friends in Woodward are planning on memorizing this summer. My hair! I finally let my good friend, who also happens to be my hair dresser, cut and color it. Ever since living in Asia my hair hasn't been a huge priority but I knew it needed something soon. Also, my friend sits a few pews behind me in church and weekly I'd get a text saying "I can see your split ends from here!" or "I'm glad you wore your hair up today so I don't have to see your dead ends." ha ha! It sounds rude but if you knew the level of sarcasm that comes from Shenel you'd understand why it's funny. Anyways, I got bangs, added red, blonde and let her trim about 3 inches off (which is huge for me!). Tomorrow Dave and I are headed to OKC to meet with some missionaries from Thailand. We are praying and seeking about what we should do with missions. If you think about it would you please pray for us? I'll give a more in depth update later on this but in the mean time prayers are much appreciated. Are you watching The World Cup? If so, who are your rooting for? Anyone else out there dread cutting off inches of hair? Have a great trip... I'm sure you'll hear amazing stories from the missionaries!!! Thanks! I'm excited to hear from those missionaries and to see if that is somewhere we should help serve over the next year. so good you got to spend time with your family doing fun things! and, i cut my hair too, like all the way to a super short afro, twas kinda scary, but good. your hair looks great! 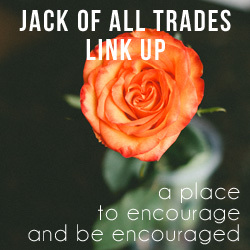 found you from the jack of all trades link up. First off, I love that we both have sunshine in our blog names! So fun! I just went and found pics of your hair on your blog and I think it looks great! You pull that look off nicely. Thanks for stopping by! Love the new hair!! And, LOVE time with the nephews and nieces - does't get any better than that!!! You've definitely been a busy girl! Your trip looked like so much fun - and I'm glad you got to spend so much time with family! Oh World Cup! I have probably watched about half the games thus far, and am rooting for Germany and US... though I really hope they tie on Thursday's game because I want US to advance. I also am really excited about the Netherlands, another team I love and think has the potential to do well. But I have definitely enjoyed all of these South American team upstaging the Europeans. So fun to watch things turn out differently than everyone assumes! I'm so glad to hear someone else loves The World Cup too! I always think the South American teams will win over Europe but I'm biased because I grew up in Brasil. That's interesting to read about the teams you are rooting for. It will be fun to see who wins! Thanks, Jenny. That was by far the most favorite thing about my trip was just some time with family. I agree! 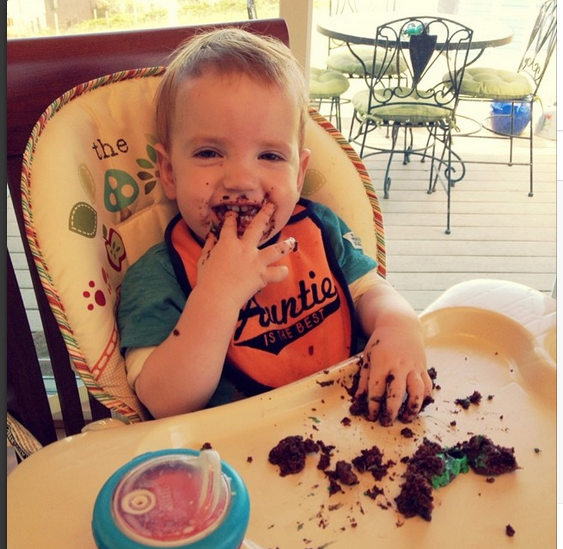 Nephews (and hopefully someday nieces) are a huge blessing and bring so much joy to life. Awww, your nephews are so adorable! It looks like you had a great time. Thanks! They are pretty adorable and we had a wonderful time.